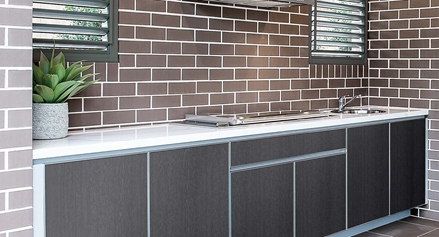 With today's trend in Adelaide toward Contemporary smooth lines in Kitchen Design both Indoors and Alfresco, we have introduced a smart range of European styled Aluminium Framed Doors, providing innovative solutions for a wide variety of interior and exterior Kitchen applications. 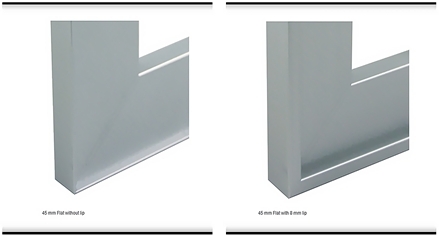 The Aluminium frames themselves are available in a range of 4 different stylish profiles, with a choice of natural Matt or Bright Brushed aluminium finishes. All our Aluminium Glass Doors are fitted with 4mm glass panels, in a choice of Clear Glass, Frosted Glass, Satinline or Smoked Glass or Mirror or a range of Painted Glass panels in solid colour or metallics. In addition to the glass option, we can also manufacture these Aluminium Framed Doors with a clear or coloured Perspex Inset Panel where both Glass and Perspex are water proof, making these ideal for use outdoors as well as inside. 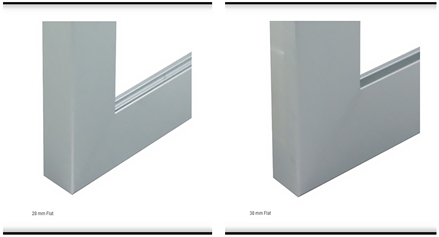 We are also able to produce these Aluminium Door frames with Décor Laminate Panel inserts on MDF for interior use. 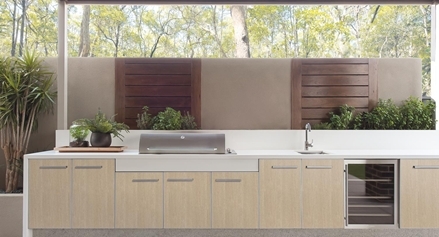 With recent developments in material technology we are also now able to produce these Décor Laminate finishes including Woodgrains on a fully Water Proof inset Panel; whereby making these doors ideal for use in exterior Alfresco Kitchens. 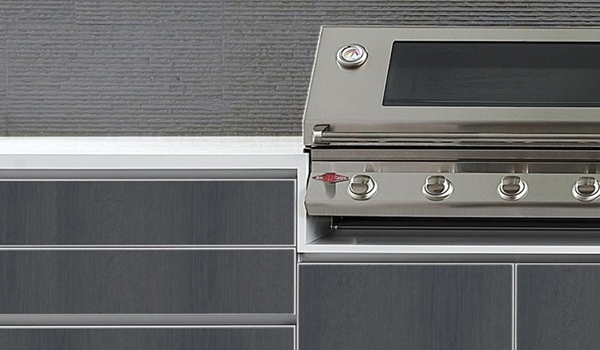 We also use this same Water Proof Panel material to manufacture the internal Cabinetry that is also suitable for outdoor Alfresco areas. Specializing in Kitchen Renovations here in South Australia we service all suburbs ranging from the Inner Adelaide districts and radiating out to the Eastern, Western and Southern suburbs and those extending throughout the Adelaide Hills and Fleurieu Peninsula including Goolwa to Victor Harbor to Normanville & Yankalilla. 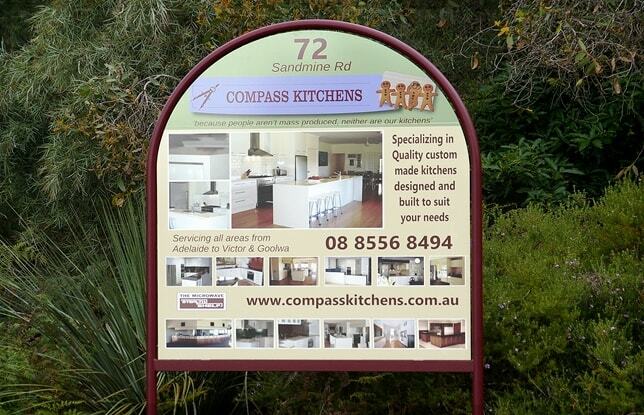 Come home to a beautiful functional new kitchen renovation by Compass Kitchens.